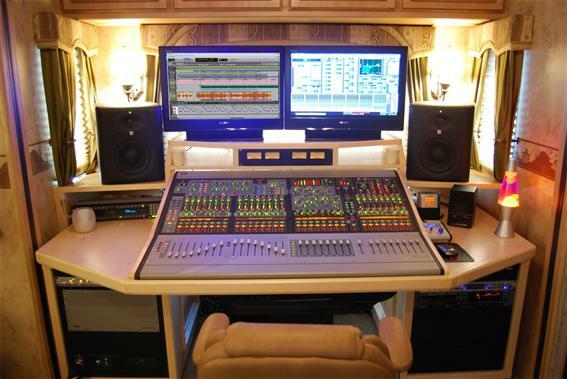 VENUE and Pro Tools|HD are utilized by Creative Sound Solutions for the live audio feed on NBC's The Voice. Pro Sound Web recently published a wonderful overview of the VENUE and Pro Tools|HD based workflow CSS is using to deliver the live audio feeds on NBC's The Voice. Engineer Randy Faustino, CEO and president of Creative Sound Solutions, along with partners J. Mark King and Tim Hatayama, mix in three mobile production units outfitted with multiple Avid VENUE and Pro Tools|HD systems, delivering the live feed in real time. CSS employs three 96-channel VENUE systems, each with a VENUE D-Show console, an FOH Rack, and two Stage Racks. An additional VENUE Mix Rack System, featuring the VENUE Profile console, is available for smaller shows and mobile situations, such as recording the band off-site. Each VENUE system, equipped with two VENUE HDx Option Cards, feeds a 96-input Pro Tools|HD system, used to record the shows, enabling Faustino to move between live and pre-recorded mixes of backing tracks. The Voice has aired on NBC since April and stars judges Christina Aguilera, Cee Lo Green, Blake Shelton, and Adam Levine, with auditioning singers intentionally hidden from the judges’ views to preclude any decisions based on their visual image.